You can’t just open up a Luke’s Diner without Luke Danes himself, you know. 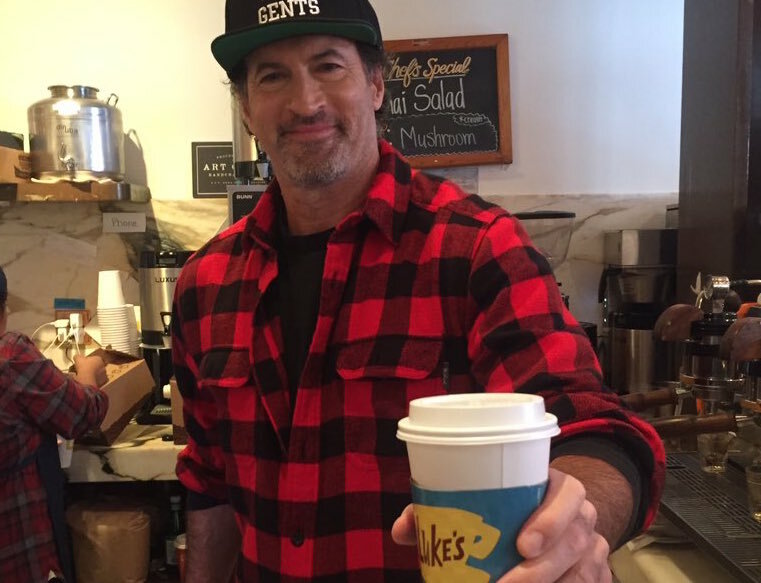 While every single one of Netflix’s pop-up Luke’s Diner had a giant cardboard cutout of Stars Hollow’s most favorite grump, only ONE actually had the real, live, flannel-wearing Scott Patterson. Earlier today, Patterson stopped by the Comoncy Cafe in Beverly Hills, Los Angeles and certainly gave fans waiting for a fresh cup of coffee a perfect Gilmore Girls surprise. As you can probably imagine, just about everyone lost their Gilmore mind. He not only greeted fans waiting outside (and inside) the coffee shop, but then headed inside to actually distribute the coffee himself. Oh my Lorelai, what a nice guy. We also don't want to talk about what was probably the best moment of this Luke's Diner pop-up, but it was probably when fans outside started singing "Where You Lead" to Patterson. This is certainly going to be a day many Gilmore Girls fans remember forever…one that will only be topped by the release of A Year in the Life on November 25th.